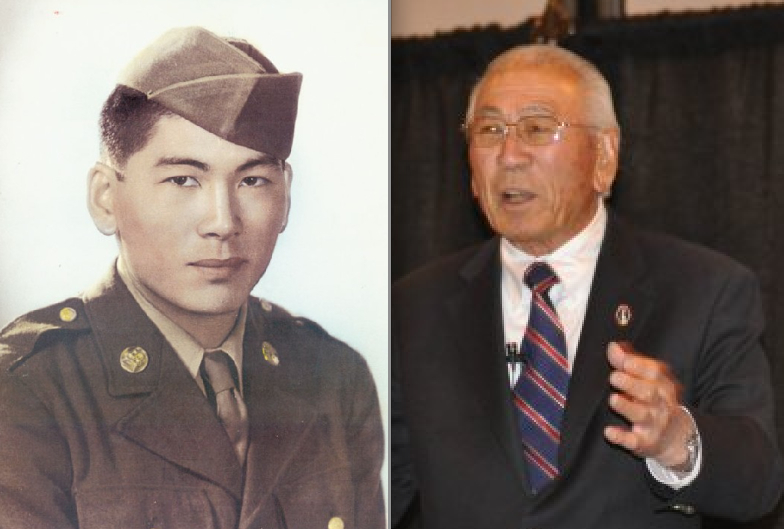 MORGAN HILL — Friends and Family of Nisei Veterans (FFNV), a Japanese American World War II veterans organization, will host a meeting on Saturday, Feb. 13, at the rear building of the Morgan Hill Buddhist Community Center, 16450 Murphy Ave. in Morgan Hill, at 12:30 p.m. Potluck lunch will be served at 11:30 a.m. The public is invited. Lawson Sakai then and now. The 442nd RCT, formed in 1943, was initially engaged in Italy and quickly became a formidable and well-respected fighting unit. “Go For Broke” was its motto. For its size and the length of service, the 442nd became the most highly decorated unit in U.S. Army history with 21 Medal of Honor awards. Tom Graves, professional photographer and author of “Twice Heroes,” will give an overview of the 442nd, discuss the importance of the battle to rescue the “Lost Battalion,” and comment on why this rescue lives on in history. Franz Steidl, author of “Lost Battalions,” will give an introduction to the regional military situation, military motives behind the battle and its results. He will also make an audio-visual presentation. Al Tortolano, a soldier of the “Lost Battalion,” will talk about his side of the battle, what his fellow soldiers faced and what they went through before the rescue by the 442nd. Questions may be directed to Brian Shiroyama at [email protected] or (408) 896-1021.